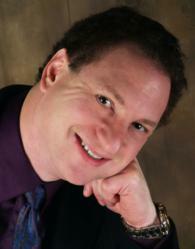 Dr. Laurence C. Breiterman relaxes his patients by utilizing sedation dentistry. This allows him to provide patients with the procedures they need without fear of the pain often associated with dental procedures. He wants his patients to feel comfortable so they can keep their teeth in top condition. He understands that many people have some fear or anxiety that prevents them from getting the dentistry they need or want. Using sedation, patients can experience anxiety free dentistry. Dr. Laurence C. Breiterman sedates patients who suffer from anxiety in order to relax them for their appointment. Laurence C. Breiterman, D.M.D., M.A.G.D., of Advanced Dental Techniques practices sedation dentistry as a way to help reduce patients' anxiety levels when they receive dental procedures. Unfortunately, many people tend to stay away from dentists even when they have serious teeth problems because they are afraid of the perceived pain associated with treatment. Dr. Breiterman's goal is to relieve this dental anxiety, eliminate pain, and create a soothing, relaxing experience. Dr. Breiterman uses a variety of methods based on the needs of his patients. Anxiety levels are reduced using a combination of drugs which can be administered orally and by inhalation to provide a relaxing experience for the patient. It is even possible with sedation dentistry to help the patient not remember the procuedure. Oral conscious sedation provides relief from anxiety but allows the patient to remain awake so they can respond to directions given by Dr. Breiterman. Sedation levels can be controlled in order to allow patients the ability to be relaxed. For extremely apprehensive patients, sedation can be increased so they won’t remember the procedure. Routine dental visits are important for maintaining good dental health and well-being of the entire body. Because fearful patients are likely to avoid routine care and develop oral and systemic health problems, Dr. Breiterman uses sedation dentistry torelieve both anxiety and pain. Using sedatives to help a patient relax and providing a comfortable and relaxing environment at the office are some of the techniques he uses to accomplish this goal. To learn more about the benefits of sedation dentistry one can visit http://www.newjerseygumsurgery.com. Advanced Dental Techniques is a general practice offering patients personalized dental care for Wayne, New Jersey. Since graduating from the University of Medicine and Dentistry of New Jersey, Dr. Laurence C. Breiterman’s desire to become one of the best has led him to pursue almost 3,000 hours of continuing education. In 2007, Dr. Breiterman received the Mastership Award from the Academy of General Dentistry, which recognizes a dentist's commitment to advanced dental education. He is part of one percent of dental professionals providing the most recent FDA cleared laser procedure for gum disease and periodontal treatment. Dr. Breiterman is also a Fellow in the International Congress of Implantologists and a member of the American Academy of Cosmetic Dentistry. To learn more about Advanced Dental Techniques and their dental services visit their website at http://www.newjerseygumsurgery.com and call (973) 694-2835.